This evening I decided to complete a test using two different HF setups in an effort to compare the receiver performance of my antennas. 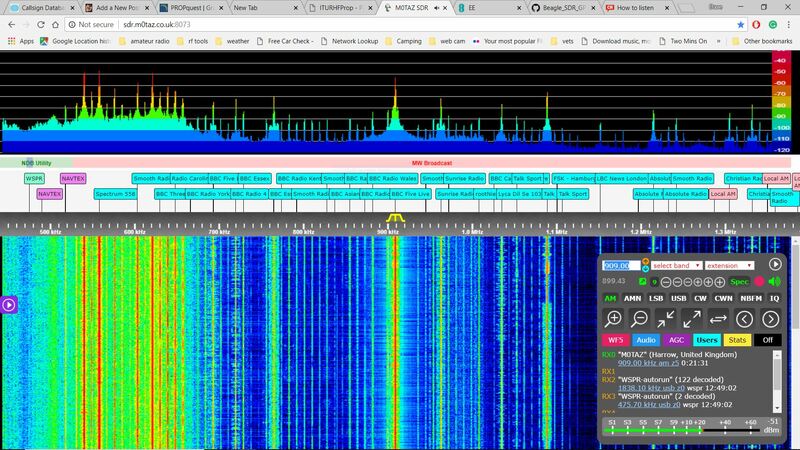 I decide the best way to test on receive would be to leave both radios receiving on 7076 KHz for 90 minutes, using WSJT-X. Both receivers had been set to 3 KHz bandwidth, and over the course of the next 90 minutes they each collected over 600 measurement reports. The test started at 1830 Hrs and continued to 2000 Hrs. The doublet collected 633 measurement reports, and the wellbrook 740. 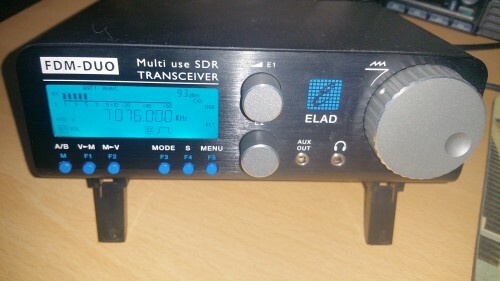 This was the first indication that the Elad coupled with the Wellbrook was out performing the Kenwood / doublet setup. 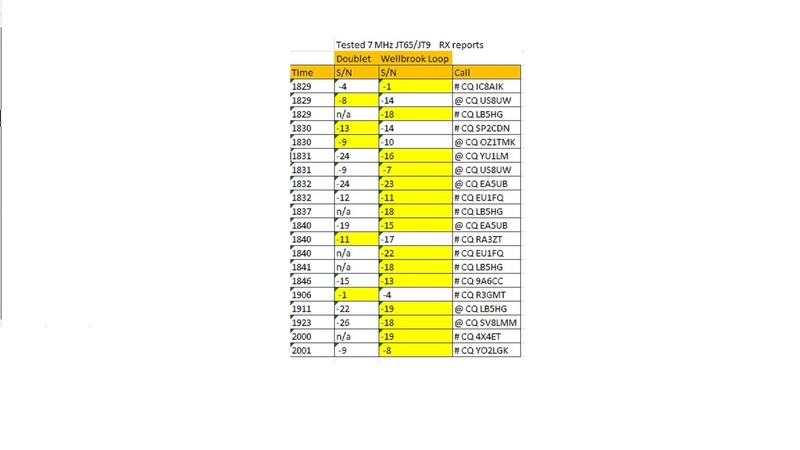 The next stage was to look in detail at the reports, WSJT has an option to write all received data into a text file, this includes time, s/n and decoded text. 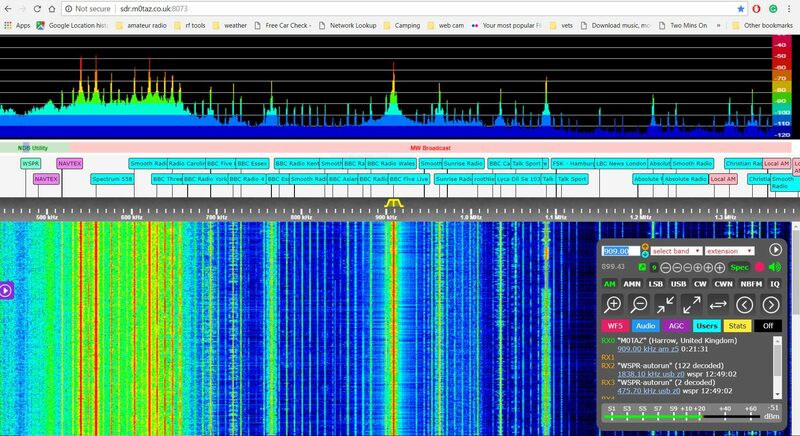 I used this to select at random some calls that represented a selection of EU (and DX if possible) and compare the relative signals received at the very same time on both radio 1 and 2. After reviewing the data it was clear the Wellbrook loop improved the quantity of stations decoded, and in many cases also improved the s/n received. This is by no means a definitive test, but it does indicate the Wellbrook loop (as many others have reported) work well in somewhat noisy urban environments. 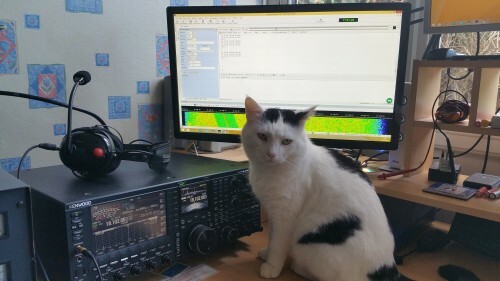 The wellbrook loop can be reviewed online at the Wellbrook communications website, the version I used for the tests was ALA1530 its 1m and designed for medium and shortwave 50 KHz to 30 MHz. 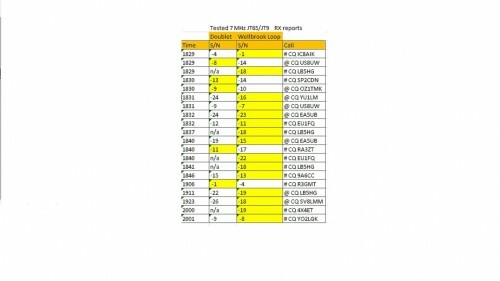 Steve Nichols G0KYA completed a review in January 2012 Radcom You can see the Eznec plot as photo 3 in the review. 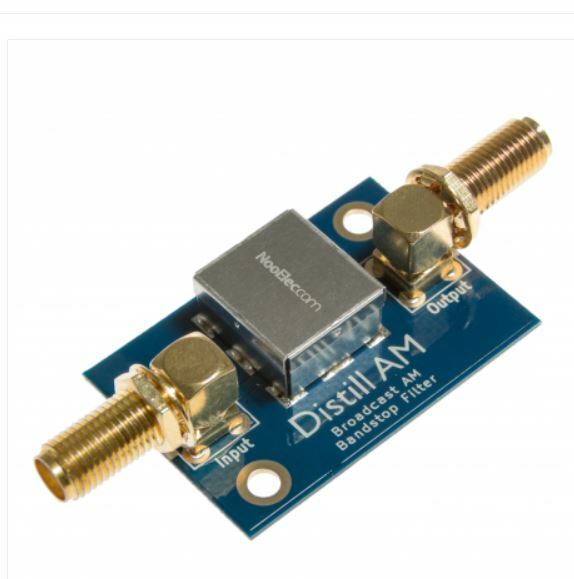 The other factor to consider is the loop antenna has some directivity, I didn’t rotate the antenna at any point during my tests. 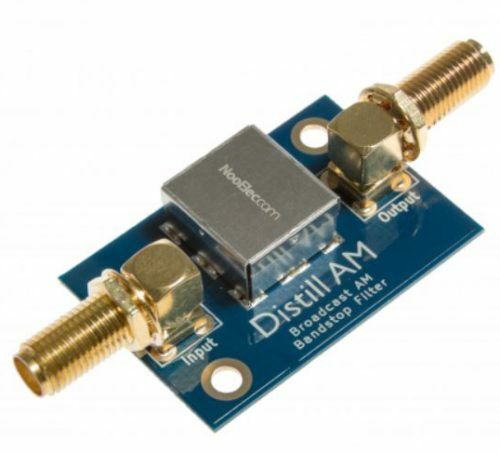 In many cases rotation will improve / reduce signals as the antenna has directional properties. 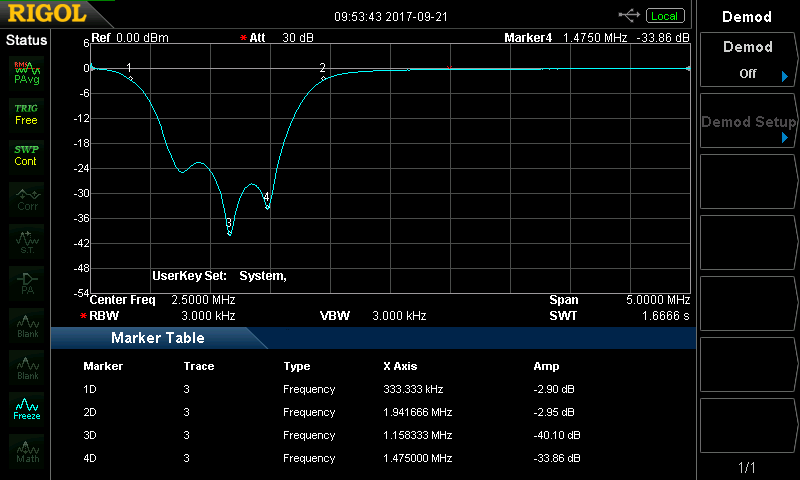 The Welbrook performed well on 7 MHz, I suspect it would be even better on 1.9 and 3.5 MHz… to be continued….